Why Visit Liechtenstein? Simple Answer - Why Not! Home Liechtenstein Why Visit Liechtenstein? Simple Answer – Why Not! Why visit Liechtenstein? Is it really worth your time? 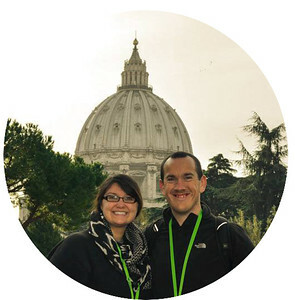 Both are very valid questions and certainly ones that we had prior to visiting the sixth smallest country in the world (Yes, this was just a few days after visiting Vatican City which is the smallest nation!). Exploring Switzerland, Italy, Germany and Austria for a week during our Eurail adventure provided us with a perfect opportunity to take a trip to Liechtenstein so we figured why not! How on earth do you reach a country that has no airport, no train station and very little public transportation! Surprisingly we found it relatively easy to reach Liechtenstein, in particular the capital city of Vaduz. Based in Zurich for a few days as we explored Switzerland, we planned our day trip to Vaduz and then on to Innsbruck, Austria. It was a pretty ambitious itinerary, especially given it was New Year’s Eve and we knew that train and bus service would likely be less than a regular weekday. Leaving bright and early at 6:45AM, we left Zurich Airport and headed for the small town of Sargans which is about a hour South-East of Zurich. Arriving in Sargans just before 8:00AM, our research suggested we had to look for the ‘green bus’ that would take us directly to Vaduz. 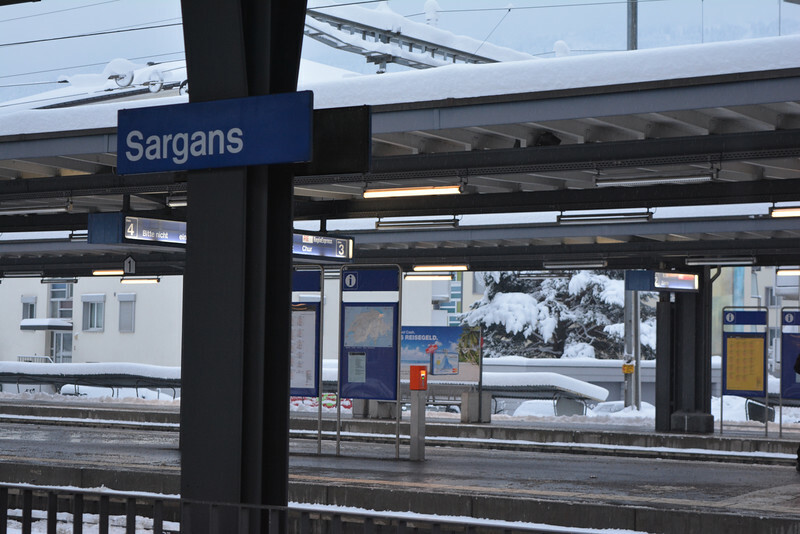 Surely it couldn’t be that difficult to find a green bus, given that Sargans is a pretty small train station and the bus station is located directly next to the train station. Our first challenge at finding this ‘green bus’ or the ‘number 12’ as it often referenced was the limited schedule given that it was New Year’s Eve. We quickly found out that the number 12 bus did not run on Saturday’s which was the schedule followed given that it was a holiday, but fortunately the number 11 was still running on the hour. If you intend to visit Liechtenstein on a public holiday or weekend, be sure to do your research and find out the bus timetables! The bus driver spoke very little English but we were able to correspond effectively enough to purchase two single fares to Vaduz which cost 5.80 Swiss Francs each. The journey to Vaduz was pleasant and took around 30 minutes. As you pass across the border between Switzerland and Liechtenstein…well, hopefully you will have more luck than we did in noticing this because the only way I knew was following our journey on our GPS and noticing we were in Liechtenstein. 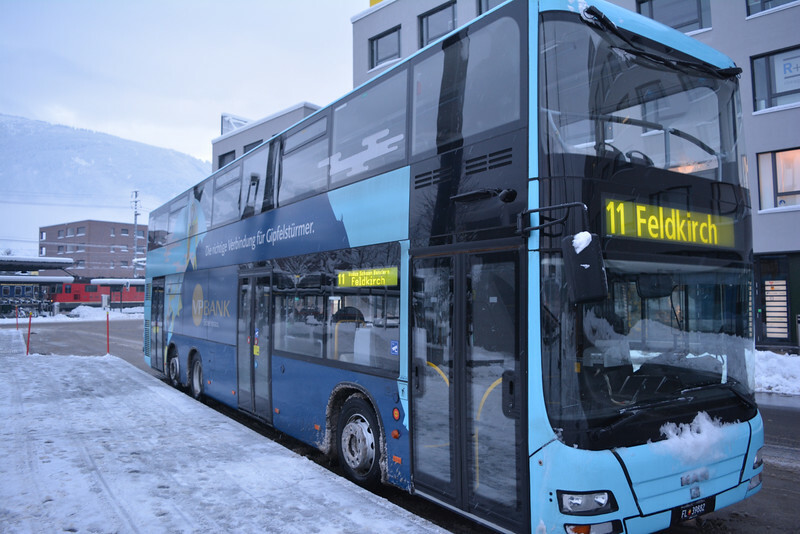 Buses are also available from Buchs SG train station so depending on where you are heading from, there are several alternatives for visiting Vaduz. After passing through the small towns of Balzers and Triesen on the Liechtenstein Bus, we finally arrived in the capital city of Vaduz. The first thing worth noting is that Vaduz is hardly a city. We really had no clue where to get off the bus because we were expecting to approach a main bus station but the main stop is just on the side of the street in the heart of this town. Ok, so it’s time to explore! Where do you begin? So much to see and so little time to visit everything! Well, you don’t have to worry about that because the reality is you can explore EVERYTHING Vaduz has to offer in just a few hours. It was made even easier for us given that we visited early in the morning and also as it was New Year’s Eve. Vaduz is without doubt a quaint little town, stereotypical of this part of Europe and there are definitely some attractions worth exploring. The main highlight in Vaduz has to be Vaduz Castle that overlooks the city. 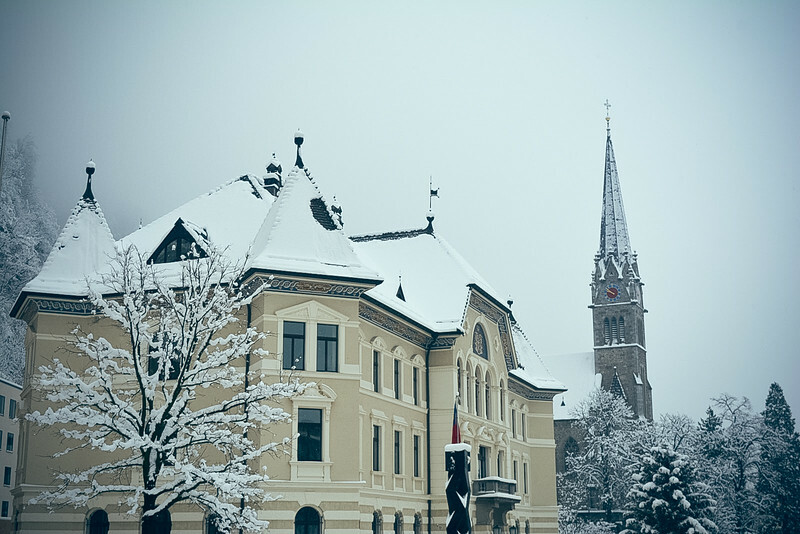 Visitors can make their way to the summit of the hill and take a look at Vaduz’s finest piece of architecture that is the residence of the Prince of Liechtenstein. There are a number of museums open to the public including the Kunstmuseum, Landesmuseum and Postmuseum. But for us, the real enjoyment in Vaduz was walking around the city or what the locals refer to as ‘Städtle’. I really enjoyed passing by the Government building and Cathedral of St. Florin which portrays a variety of historic architecture, and both buildings provide a stark contrast with the reputation that Liechtenstein now has in the financial sector. You can’t visit Liechtenstein without heading to the Tourism Office in the heart of Vaduz and getting a Liechtenstein stamp in your passport! Unfortunately this will cost you 3 Swiss Francs (CHF) or 2.50 Euros but it’s well worth it. It’s actually a really popular spot along with the variety of tourist shops along the Städtle district. Postcards, magnets and a myriad of other souvenirs are available to provide memories of your short stay in Vaduz. Liechtenstein may be one of the smallest countries in the world but it packs plenty of interest that makes visiting a worthwhile trip. Don’t let the fact there is no international airport or train station sway your decision about visiting this principality! Plan to spend a few hours here and cherish the memories you make wandering around Vaduz. If you decide to spend a little more time here, there are various hostels and hotels available both in Vaduz and nearby Schaan which are the two largest towns in Liechtenstein. Why visit Liechtenstein? As the title says – why not! It’s actually very convenient to reach and after exploring Vaduz we hopped back on the number 11 bus and headed to Feldkirch in Austria to board the train to Innsbruck. 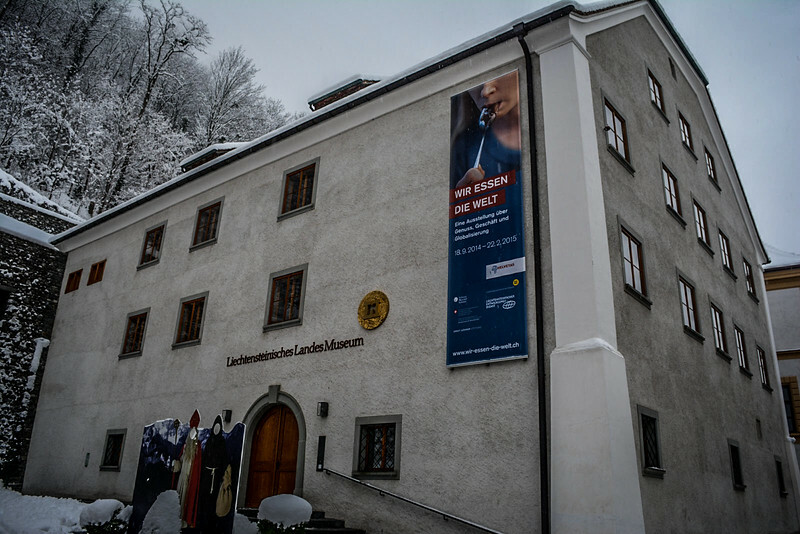 For more pictures of our visit to Liechtenstein, please visit our photo gallery here: Vaduz 2014. Previous articleEurail Pass – Consider Exploring Europe by Train! Thank you for sharing your experience! Just visited your photo gallery. I have a question: how are the prices? Is it true that Liechtenstein is one of the most expensive countries in Europe? We didn’t find it notably more expensive than any other European country. We spent a little on souvenirs but apart from that we were on our way after a few hours exploring. Looks great! Really like the feel that snow gives to the buildings. Went there last year during the Spring and managed to see quite a few more things (had a car). Interesting country, worth going back just for the mountains and trails. Cheers! I’ve visited Lichtenstein twice and both times in summer (and with a rental car). It looks picturesque in the winter no-doubt, but I remember at summer all the slopes are green and it is so beautiful!! I’m mapping out a trip to Europe at the moment and think we’ll do the same thing. It’s too tempting not to visit if we’ll be so close in Zurich. Have always been curious about Liechtenstein. Now, seeing your pictures, I’ll definitely have to put it on the list, just have to figure out when. Since I heard of Liechtenstein I’ve had this weird desire to go there. Don’t even know why, lol! It’s trippy that there’s no airport or even a train station though, just a bus stop. This city looks beautiful. Thanks for sharing this Chris as Liechtenstein is on our radar in December when we plan a Rhine river cruise ending in Basel… so only a hop, skip and jump away from a unique passport stamp. The bonus for us it looks to be a great walking city. Great post Chris. It appears that Liechtenstein is a great stop for a day trip. Who needs an excuse for a extra stamp in the passport. Hi Guys – great post! I’ll be honest: Lichtenstein was never on our Must See list – much like most people I’d guess. But you’ve convinced us! I love adorable little cities, and this sounds like a fun one to visit. Thanks for the info. I think I saw Lichtenstein when I was visiting family in Switzerland when I was thirteen but to be quite honest, I do not remember. I do need to go back some day 🙂 Thanks for including all those gorgeous photos. 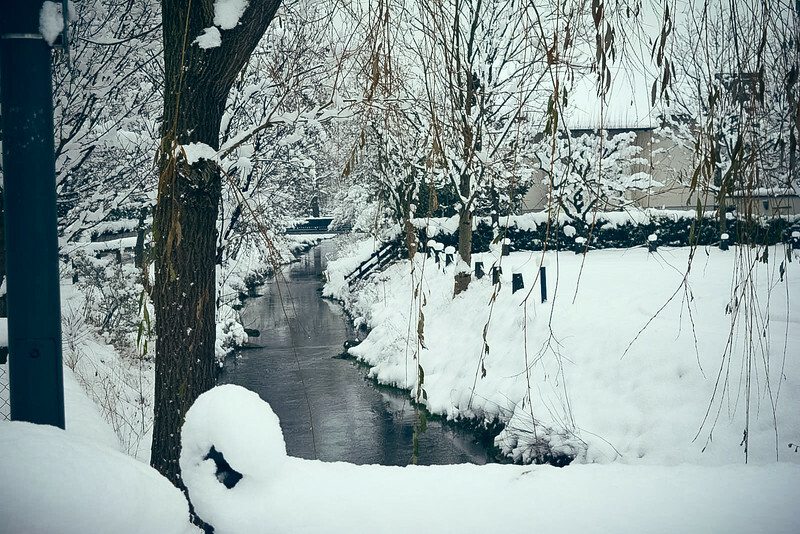 It looks beautiful there, even in the wintertime! So cool! 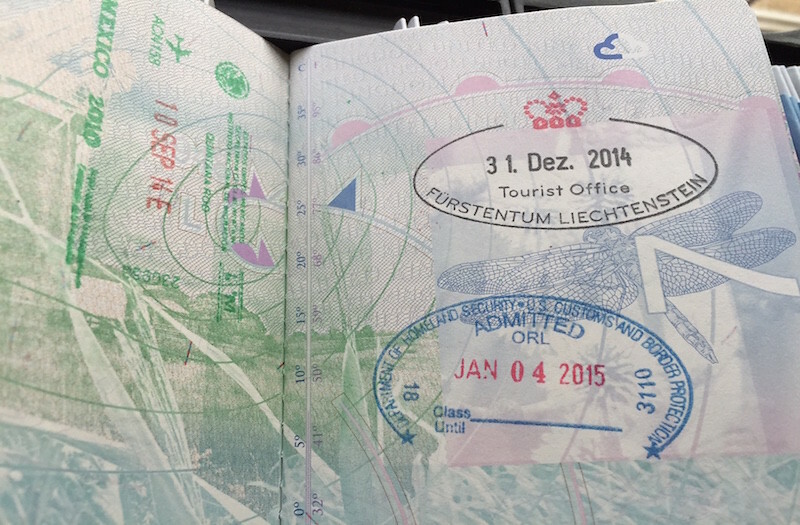 I would definitely head over to the office to get a passport stamp that says Liechtenstein! I’d like to explore around here for the day, too! 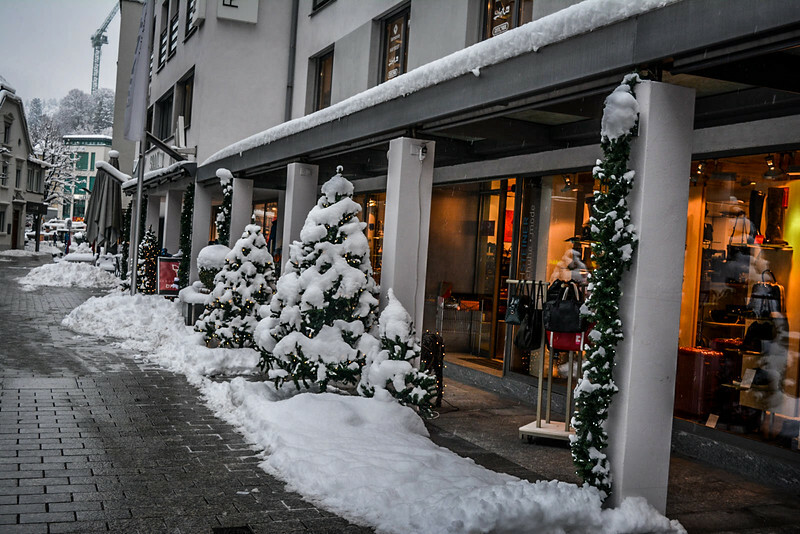 Myself and husband would love to visit Vaduz during this Xmas period which also marks our 2nd wedding anniversary…. I will like to get a great one week tour package for this opportunity. Anyone one who can help should pls advice or better still get back to me. I would strongly recommend spending more time in Switzerland and then take a day trip (or multiple if you wish) to Vaduz from Sargans! I don’t think you would want to spend more than a day or two in Liechtenstein, purely because it’s so small and you can easily explore Vaduz in one day.